ISEC7 Group releases ISEC7 Mobility for SAP 6.0 and presents new industry modules developed by integration partners. ISEC7 Mobility for SAP 6.0 convinces with its fresh design and numerous new features. 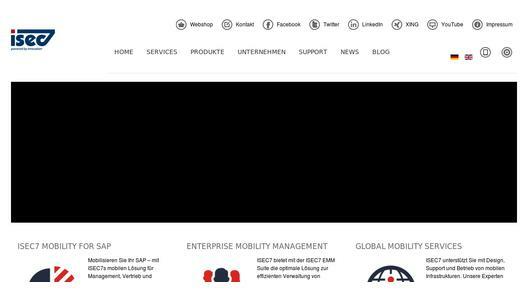 The enterprise mobility management expert ISEC7 presents the new release of its technologically leading application for mobilising SAP for the first time at this year's CeBIT in Hannover at the booth of Deutsche Telekom AG (hall 4, booth 26). Various SAP integrators use ISEC7 Mobility for SAP 6.0 as the basis of mobile industry solutions. 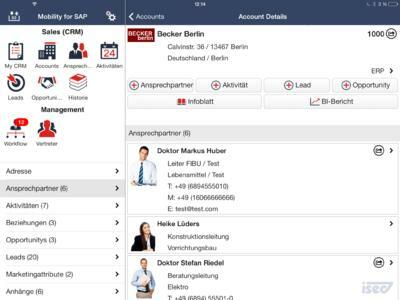 The new version 6.0 of the technologically leading application for mobilising SAP, ISEC7 Mobility for SAP, includes multiple new features. Support of all mobile operation systems available in the market: With the help of Windows Phone 8 and Windows 8, the solution is now available for all relevant mobile operation systems. Secure containers: Now, ISEC7 Mobility for SAP also supports container solutions based on BlackBerry Secure Work Space, Deutsche Telekom SAMBA! and AT&T Toogle. With its nine different containers or access possibilities, the solution is extremely multifunctional and secure. Modern user interface: The latest release offers an enhanced user interface for appealing design possibilities - realised with new icons, flexible individual site modifications, integration of photos and optimized reporting possibilities integrating charts and diagrams generated on the server. New Features: The existing standards have been improved: Now, the app offers direct native printing as well as recording of signatures on the touchscreen in order to enable service technicians to print out receipts and protocols. Marco Gocht, CEO of ISEC7 Group, says: "Our mobile SAP solution is very successful because our customers can use it intuitively and easily adapt it to their needs. On this basis, we have been developing ISEC7 Mobility for SAP for more than four years now. It is the easiest way for mobilizing SAP and offers a clear benefit to our clients. 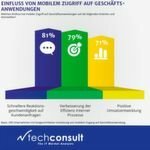 The number of customer projects and the growing figure of partner solutions show: Our concept fits the market." The partner community of ISEC7 Group is continuously growing. More and more SAP integration partners develop industry specific modules on the basis of ISEC7 Mobility for SAP. The CRM expert movento develops solutions for mobile lead recording by scanning business cards as well as modular changes of electric meters. Service technicians can record old meter readings and document them by photo. Barcode scans of serial numbers of new electric meters can be created easily and fast. The technicians can print and countersign the appropriate proofs directly. Lufthansa Systems uses ISEC7 Mobility for SAP as the basis for a mobile industry solution for media companies and publishing houses. It helps with administering of advertorials, providing access to advertorial clients, their booked advertorials and complaints. This facilitates the planning of further advertorial business. The IT service provider Varelmann Gruppe applies ISEC7 Mobility for SAP for an industry solution for manufacturing companies. For instance, it can be used for mobile administering of feedback to production orders. quindata GmbH uses ISEC7 Mobility for SAP as a solution for agriculture clients. They can execute seed orders on the mobile device and also obtain overviews of used farming machines. The ISEC7 Group (www.isec7.com <http://www.isec7.com> ) is a global provider of mobile business services and software solutions. The company was one of the first movers in mobilizing company and business processes. Today, ISEC7 has numerous renowned companies and governmental organizations as committed customers. The company continually invests in the evaluation and development of new technologies. ISEC7 solutions, such as ISEC7 EMM Suite B*Nator, ISEC7 Mobile Exchange Delegate and ISEC7 Mobility for SAP have proven to be ground-breaking in the mobility sector. 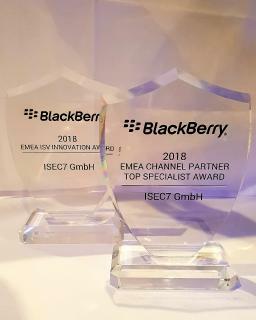 The ISEC7 EMM Suite, a comprehensive globally applicable MDM solution, has been presented as the "Most Innovative Enterprise Application" by BlackBerry. ISEC7 Mobility for SAP allows access to SAP backend without the need for additional middleware. 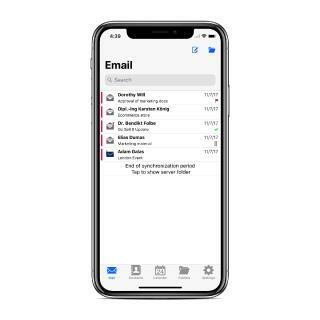 The ISEC7 solution 'Mobile Exchange Delegate' ensures mobile access to Microsoft Outlook calendar, email and contacts from third parties via BlackBerry smartphone. ISEC7 was founded in Hamburg/Germany in 2003. The company operates globally with offices in Germany, USA, Switzerland, Spain and Brazil.